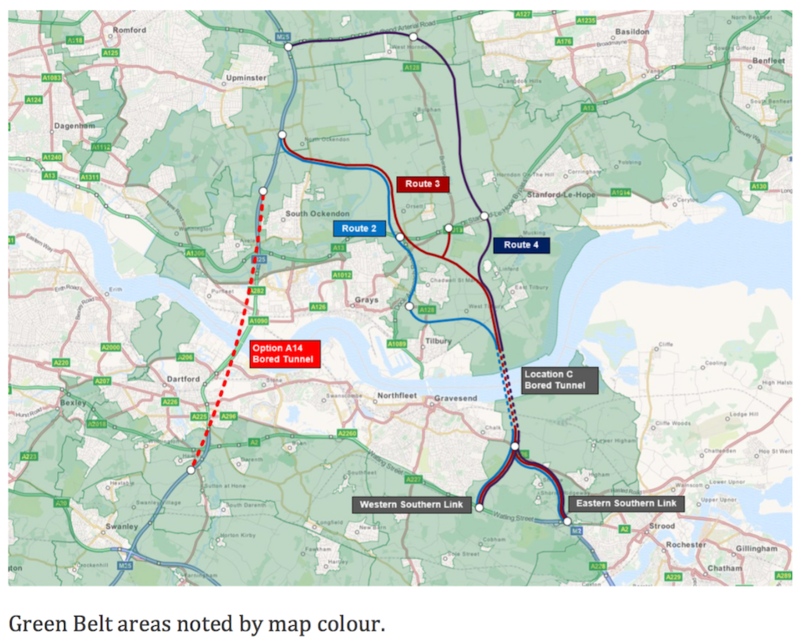 The Best Lower Thames Crossing for Locals? Yes the A14 is a road in it’s own right running through East Anglia. 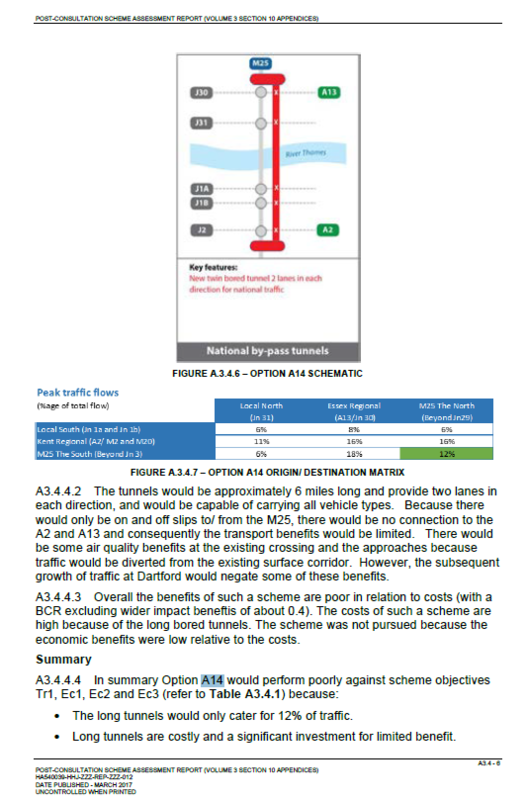 However, did you know Option A14 is also an alternative route for the new Lower Thames Crossing? It appeared briefly in the 2016 ‘voluntary’ consultation as a scheme Highways England had written off because of its relatively poor credentials within its comparator group ‘Optioin A’. Scroll right down to the bottom of this page to read why they scrapped it! Option A had over 15 variations situated about the existing river crossing. 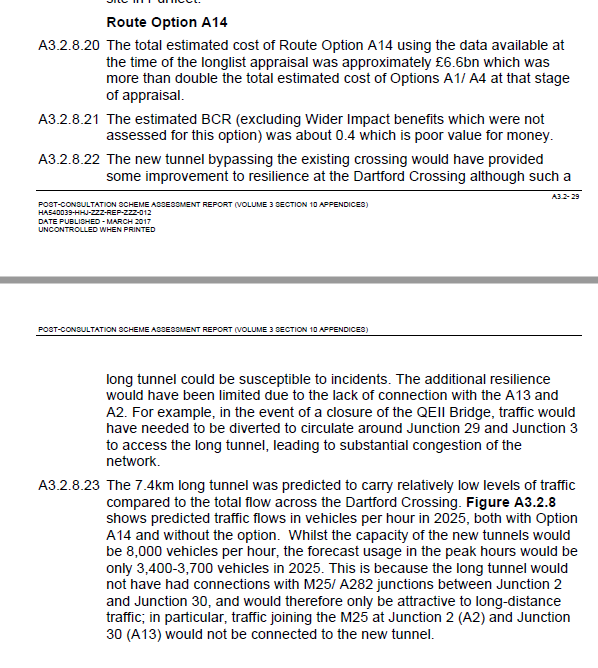 As you can see in the map below Option A14 was proposed as a tunnel running between Junction 2 (M25 in Kent), surfacing between junctions 29 and 30 (M25 in Essex) – bypassing the A282 completely. Being a tunnel means that air pollution from traffic would be filtered and cleansed. There would be no need for anybody to lose their homes. No green belt land would be destroyed. It would by-pass the hot spots of congestion with a long tunnel. It would complete the M25 as an orbital motorway, bypassing the current A282 crossings (ie the current m25 bottle neck). Option A14 was one of many that Highways England came up with, but it was well buried and hidden by the time the last consultation happened. 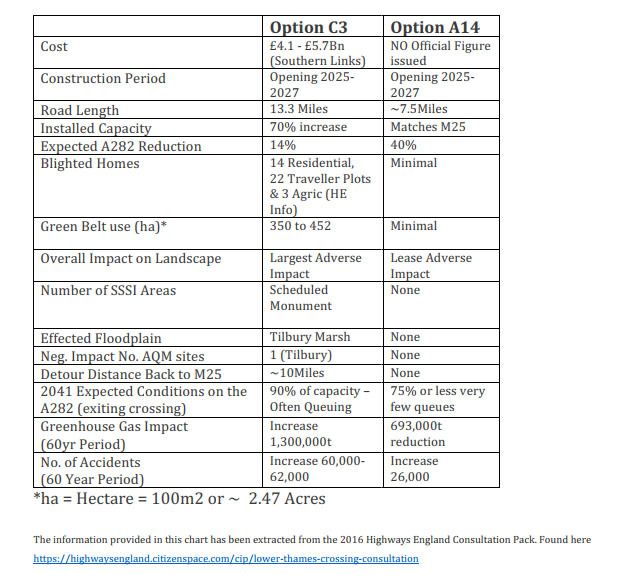 It was possible to comment about Option A14 in the 2016 consultation, but of course first you had to know it existed to comment. Sadly many didn’t and still don’t know that this preferable option was at one point, on the table. As a group we question why this option hasn’t been more prominent as a valuable, safer, cleaner option for a new crossing. 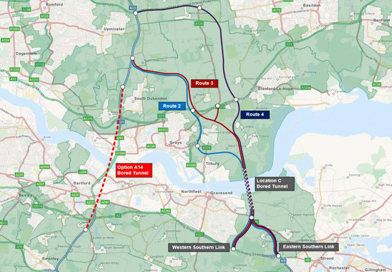 As you can see from the illustration below, 40% of national traffic could use this route, bypassing Thurrock & Dartford, in the process leaving the A282 for us locals to use. Reduced accidents, segregation of national and local traffic… All adds up in our minds! Within the same document, the image below illustrates 40% national national traffic… so why state only 12% traffic reduction on the A282? According to HE Option C Provided the shortest route & delivered the best reduction in journey time? 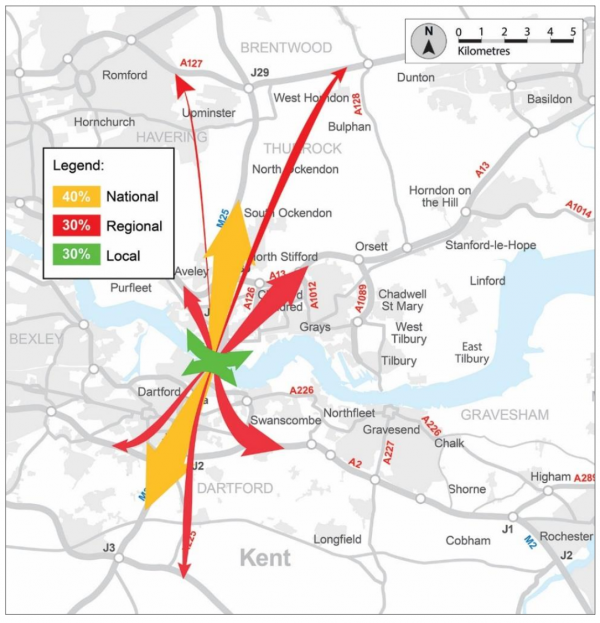 Clearly for 14% of people who may wish to travel to East Kent it may be a shorter route. However, the largest bulk of journeys are predicted to remain on the M25 beyond the A13 or A2(M) 40% of them! 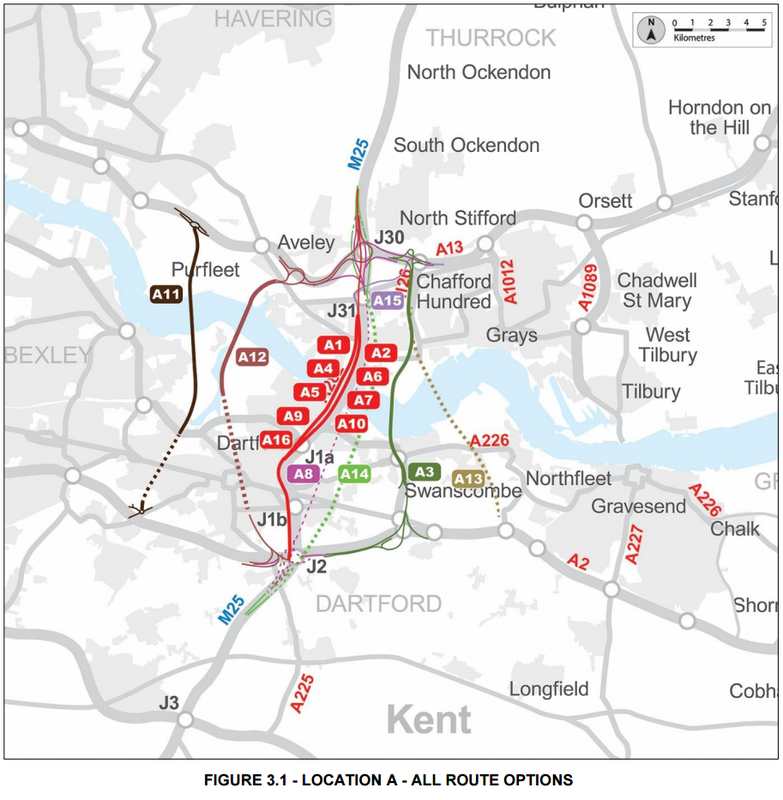 We suggest Option A14 is the shortest route between the M25 Start & Ending. The Killer statement in the above image… Route 3 – Opens opportunities for housing & jobs… LAND GRAB!